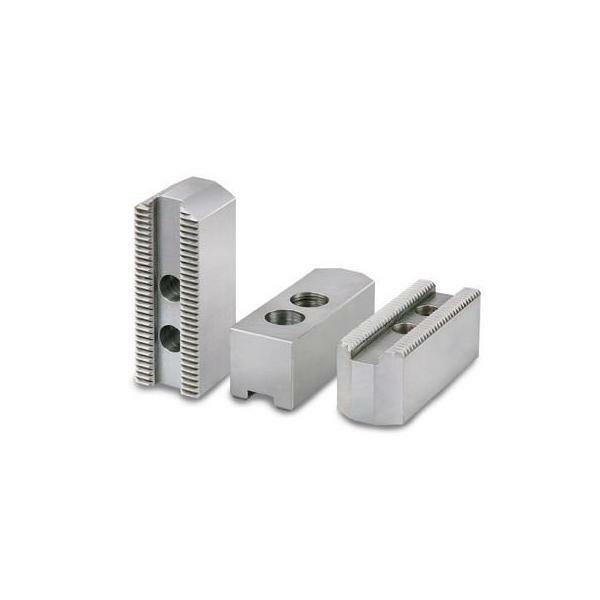 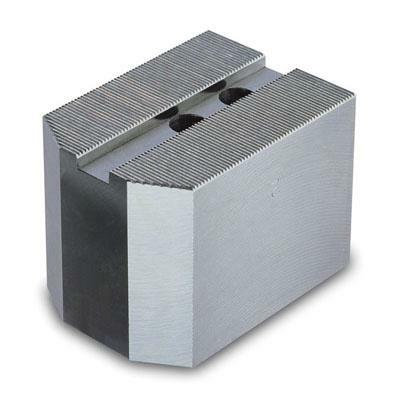 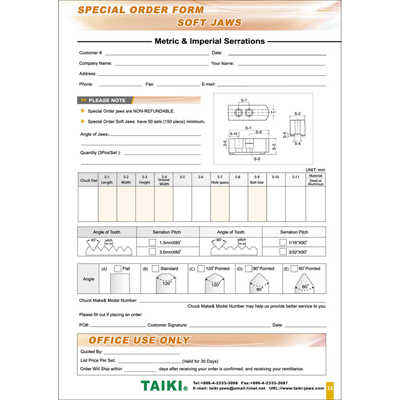 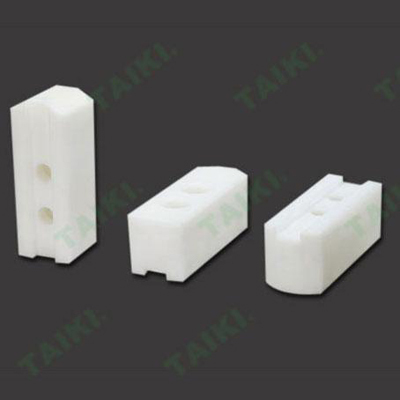 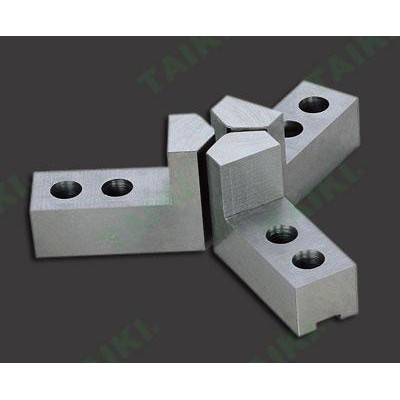 Soft Jaws - 1.5mm x 60 Degree (Standard Type) (SJ08037B) - Taiki Industrial Co., Ltd. 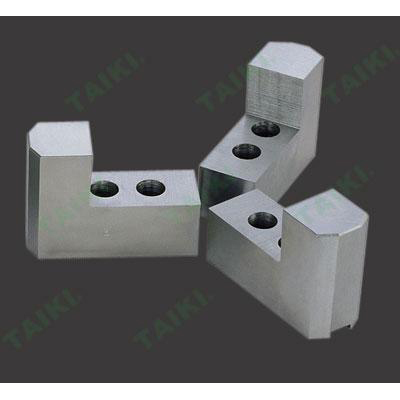 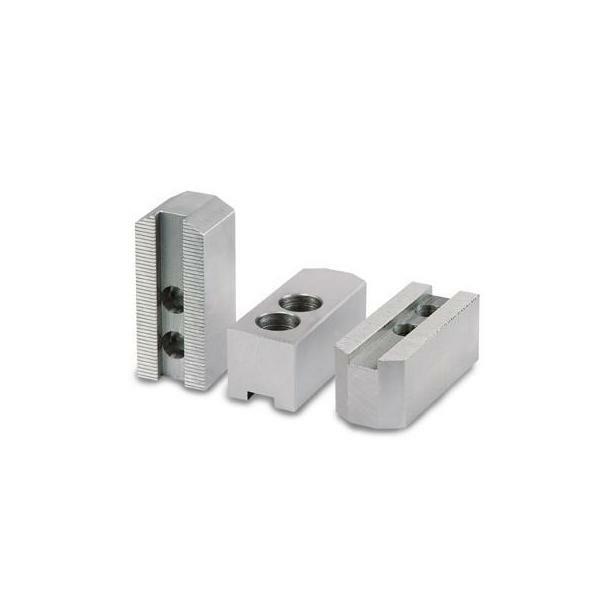 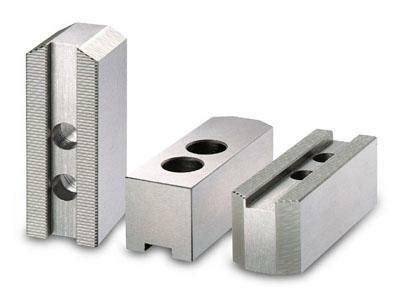 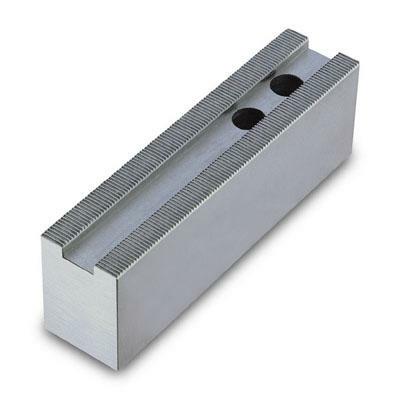 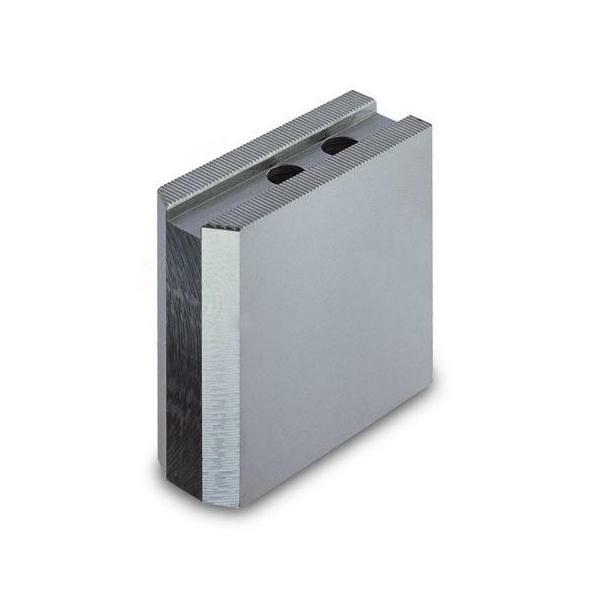 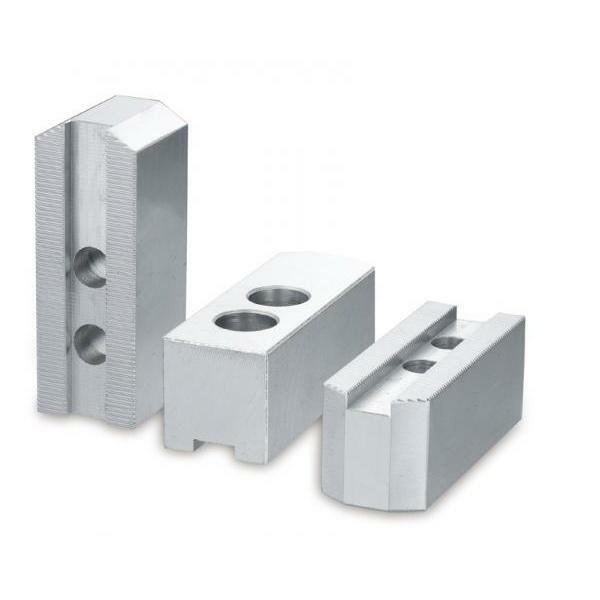 The soft jaws - 1.5mm x 60 Degree- standard type (SJ08037B) is used in CNC lathe. 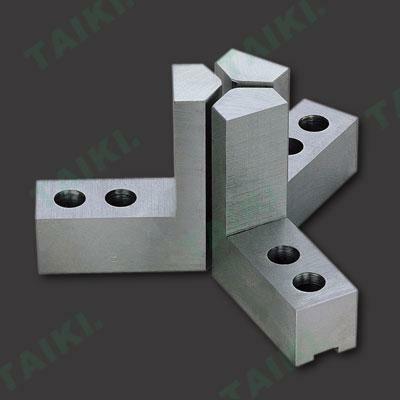 According to different process term, customers can choose varied sizes and more convenient, and avoiding unnecessary correction movement. 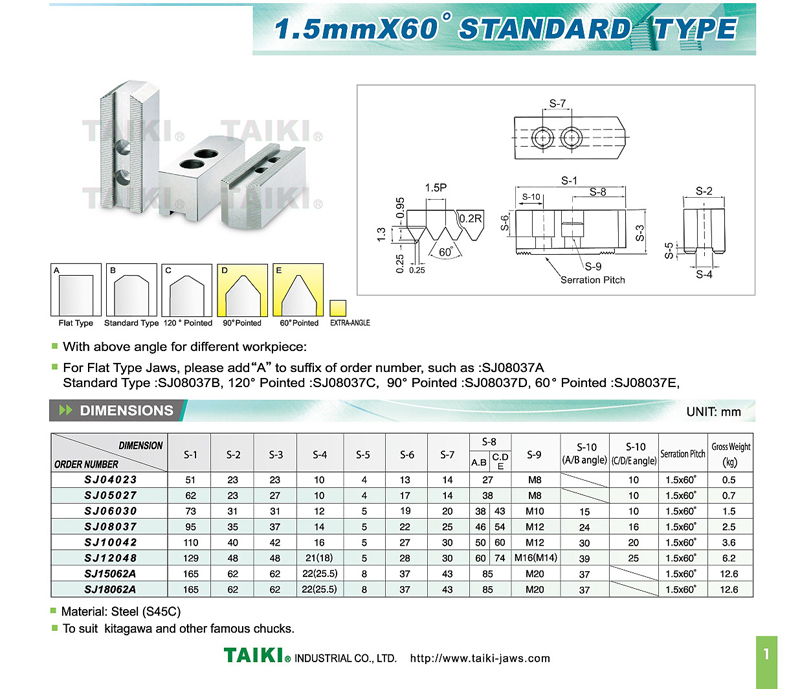 No.11, Lane 468, Wufu Rd, Wufong Dist., Taichung City, 41355, Taiwan.